Zimbabwean born, Melbourne based soul singer, Thando, has been gracing stages around Australia with her electric presence and powerhouse vocals. Fresh from a sell-out show at the NGV, Thando has put Birregurra on her album launch tour. 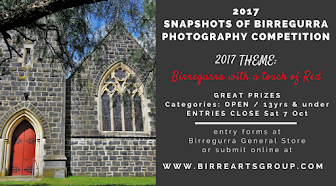 Join us in the beautiful town of Birregurra at the foothills of The Otways for an extraordinary night of grooves in the newly renovated Birregurra Hall. Having just featured at BIGSOUND in Brisbane, Thando has won fans hearts nationwide through her mesmeric live performances. 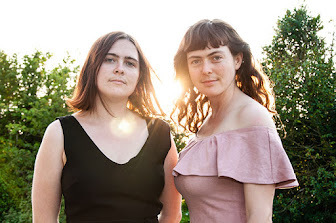 Securing coveted support slots with Odette on her recent sold out 12 date Australian tour, Leon Bridges on his Bluesfest sideshow, Sampa The Great, REMI and having wooed festival crowds at Strawberry Fields and her annual hometown, historically sold out Chapel off Chapel performances. 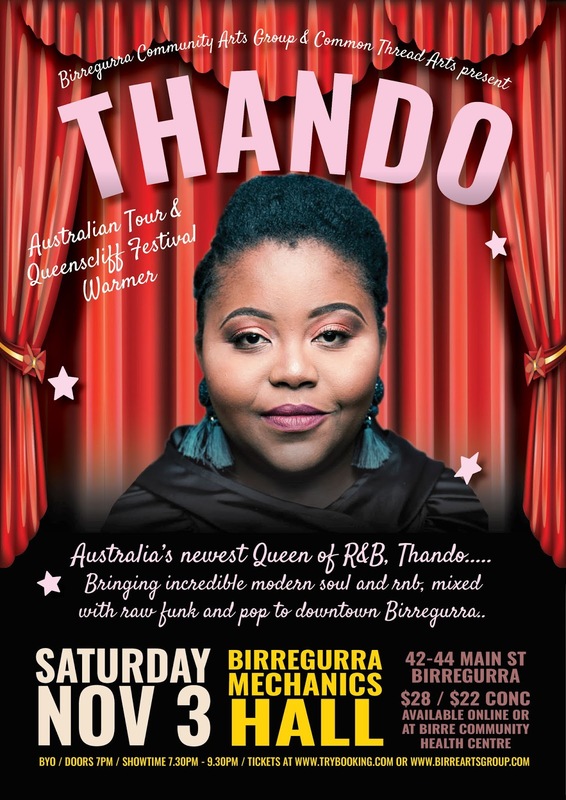 Catch Thando at the newly renovated Birregurra Hall. Bring your groove shoes and enjoy her stellar performance before she heads to entertain festival goers at Queenscliff Festival. "You got buckets of soul"
"This is song of the year so far for me. You never know where it's going, but you know it's gonna be good." "A bold new voice, making rad music and tackling relevant issues while she's at it"
"Forget any over the counter drugs, dose up on thando to ease all your ailments."